Need to get your business online? Keen to put your products and services in front of the millions of New Zealanders searching the internet? If so, our Website Starter Package is exactly what your business needs! 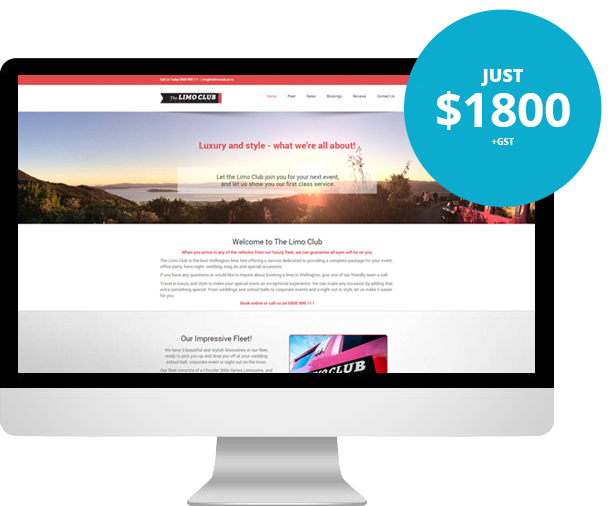 The package not only includes a custom-built great looking website, but also a whole bunch of extras to get you on your way. We’ll help you get your website on Google, get visitors to your website, and everything else you need to succeed online. Don’t want to use the online form? Everything you need to help you and your business succeed online! We'll help you put your text together to explain what you do and why you rock! If you find a cheaper price, tell us and we’ll see if we can beat it!